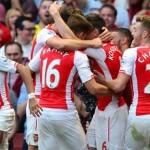 Arsenal will be taking on West Ham in the 2015-16 Premier League campaign opening weekend fixture and if the recent history is anything to go by Arsenal will be heavy favourites to register their first three points as they have only lost once on the opening weekend fixture in last 14 years. While West Ham has lost the most number of games on the opening day of premier league. Here is a short match preview, team news and possible starting lineups. Arsenal will have Petr Cech in goal for the first competitive game while Monreal, Koscielny, Mertasacker and Hector Bellerin should make the back four. Jack Wilshere has been ruled out for atleast a few weeks which means Cazorla, Coquilin and Ramsey will start in midfield while Ozil to play a no.10 role behind Walcott and Oxlade Chamberlain. Olivier Giroud is a doubt for the game while Sanchez just joined Arsenal squad after a long summer break so he might start on the bench. West Ham United will be without Enner Valencia for atleast couple of months as he suffered nasty injury which effected his right kneen and ankle while Andy Carroll will also miss the game due to injry which means Zarate and Sakho might start upfront with four man midfield including new signing Payet, Noble, Kouyate and Obiang. This is how both teams are likely to start the game while the confirmed starting lineups will be announced couple of hours ahead of the sundays fixture. Match Predictions: Last time West Ham defeated Arsenal at their home ground was 8 years ago when a goal from Bobby Zamora sealed a famous win for the hammers, since than Arsenal have been superb against West Ham and only conceded 3 goals in eight west ham visits. Arsenal will be very confident going into the game having defeated Chelsea in the Community Shield a week ago and Wenger side often start the season in prime fashion only struggle towards the winter period. 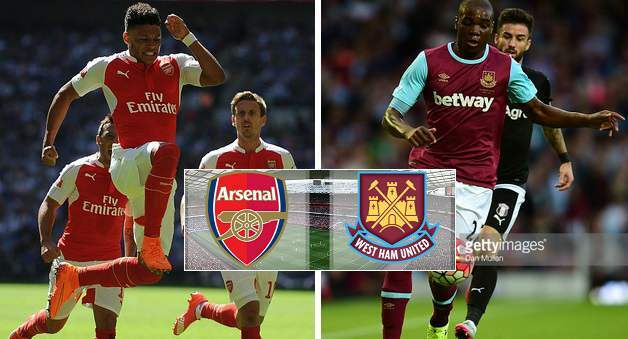 So looking at the recent history and Arsenal’s superb pre-season combine that with West Ham missing their two first choice strikers I can only see one result here and thats a 2-0 win for Arsenal odds at 11/2. I am certain that with Arsenal present form and momentum,this game is a sure 3 points for the Gunners. 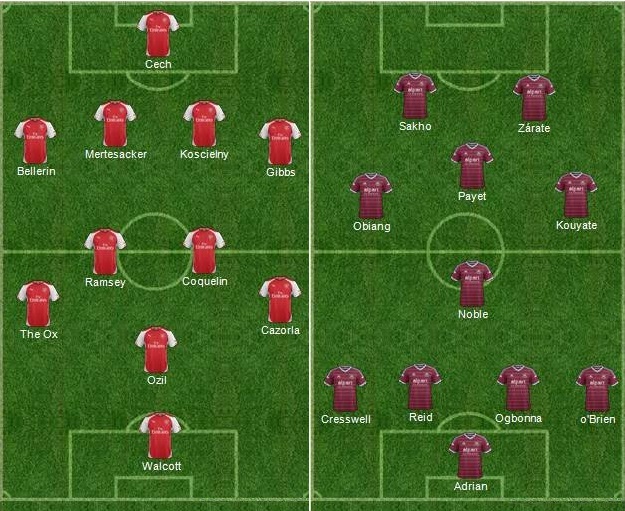 This starting lineup is a very challenging one for Westham to contend with.